Preheat oven to 200˚C. Lightly oil a baking tray. 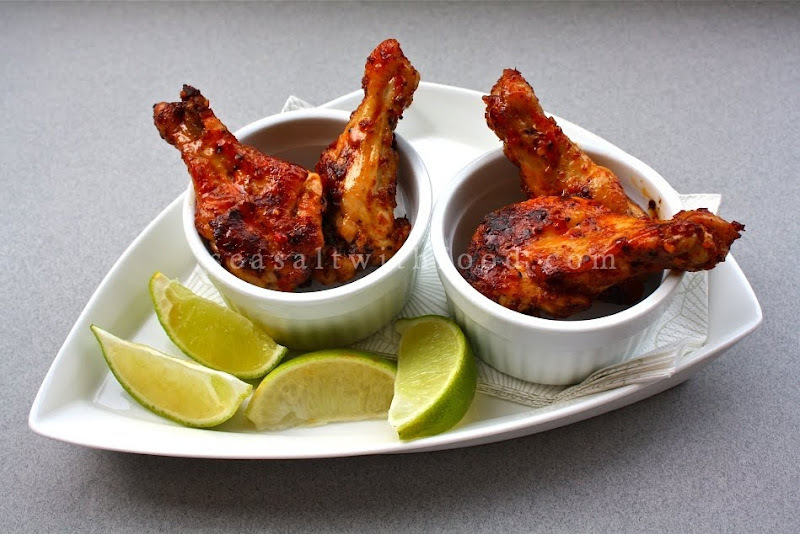 Marinate the chicken drummets with sea salt, olive oil and black pepper. Bake the chicken for about 15 minutes. Baste the chicken with Peri-Peri sauce. Repeat the basting every 5 minutes until the chicken are cooked. 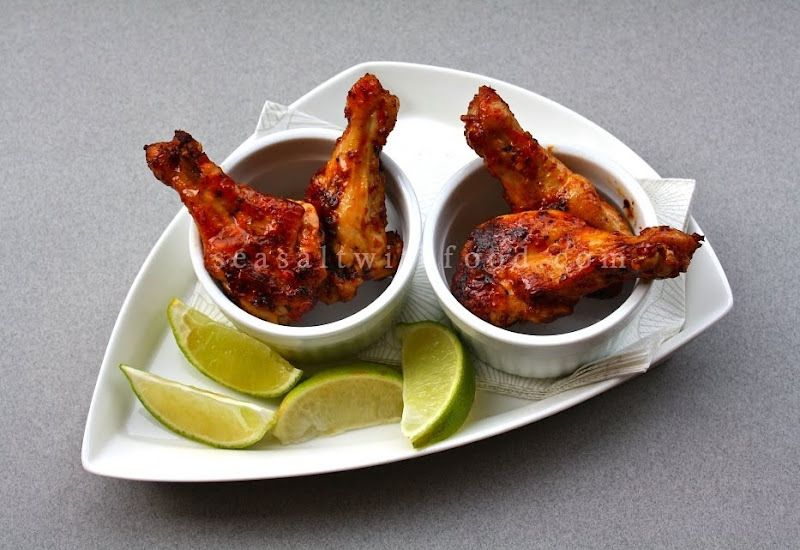 (25 to 30 minutes) Squeeze some lime juice over the chicken and serve immediately. Sounds delicious. Love the addition of the extra hot peri peri! 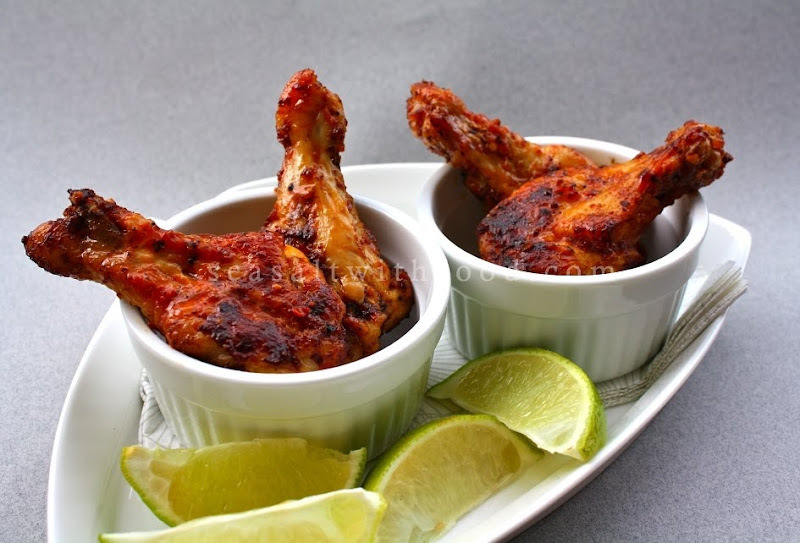 What is peri peri sauce and where can I get it? @Doreen: Peri-peri sauce made from chili. You should be able to find it at your local grocers. I got mine from Wholefoods market. Oh yum. I don't know if I've told you this, but I love your blog. You always have something yummy and creative every time I come here.